US Cellular announced its own version of shared data plans this morning, joining Verizon and AT&T in one of the most often criticized new wireless trends of the last couple of years. As with the others, US Cellular claims that having giant pots of data that can be shared between family members and employees is much easier to manage. Of course, no one was actually asking for this type of easy management until the industry took unlimited data away from us all and realized that they could bank off of GBs just like they once did with minute and text overages. If you have a single line smartphone, with a 2GB data package, you are looking at a monthly bill of $100, which includes unlimited talk and text. With a family of 3, all smartphones, and a 8GB data package, you are looking at a monthly bill of $210. The plans and pricing are identical to Verizon’s, so yes, they probably look familiar. US Cellular has said that they will not force existing customers onto these shared data plans. CHICAGO (Oct. 14, 2013) – U.S. Cellular (NYSE: USM) is making it easy for customers to manage their data, voice and messaging services with its new Shared Data plans for consumers and small businesses. With these new plans, customers can build the plan that best meets the wireless needs of their families or employees without having to keep track of multiple plans or accounts. These plans are available now, and existing customers are not required to change to a Shared Data plan. U.S. Cellular’s Shared Data plans include unlimited minutes and messaging and provide customers flexibility in choosing a data plan to match how they use their wireless devices. Customers can share a single bucket of data among their smartphones, basic phones, tablets, hotspots and wireless modems. U.S. Cellular offers the most Shared Data options of any carrier and its plans are the only ones in the marketplace that come with a valuable rewards program that recognizes customer loyalty. 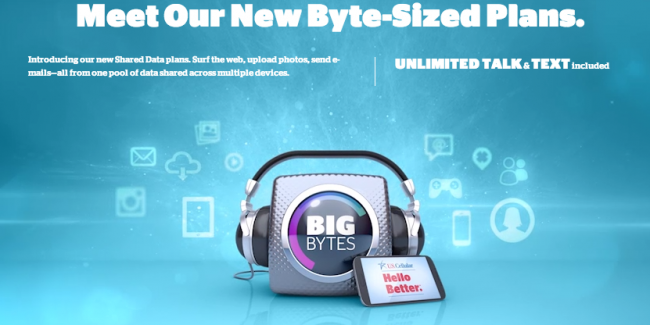 Data only plans are available for tablets, hotspots and modems that start at $10 per month for 1 GB of data. The same monthly device connection charges as above apply. For customers with basic phones, U.S. Cellular is offering “Talk and Text Only Plans” that include 450 minutes and unlimited messaging for individuals for $50 and 1000 minutes and unlimited messaging for families at $100 for two lines and $20 for each additional line. For a limited time, customers that add a tablet, hotspot or modem to their Shared Data plan get the monthly device connection charge waived until the end of 2013. For more information on U.S. Cellular’s Shared Data plans, visit uscellular.com. Android 4.4 "Kit Kat" Shows Up in Nexus 7 Screenshot Gallery - Shows New Easter Egg, Clock App, App Drawer, and More?